Luxurious Hand Cream. This rich and aromatic fine hand cream is delicately fragranced to nourish, soften and soothe the skin all year round and is the perfect handbag size for women.<br/><br/>Paraben and sulphate free and packed with vitamin E rich Shea butter, sunflower oil and beeswax to help protect and moisturise the skin and nails. Packaged in a 50ml tube it is a convenient size to take with you on the go and apply throughout the day as and when your hands need it. Size: 50ml. 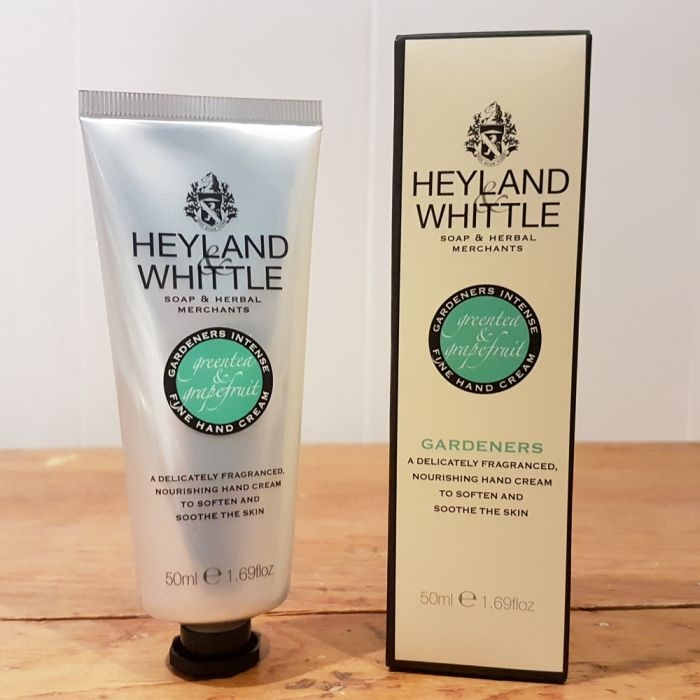 Hand lotion by Heyland & Whittle, made in England.